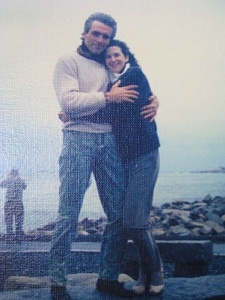 Grant and I met in Hollywood in 1987. He was working for Jet Propulsion Labs in Pasadena and I was scurrying around the country setting up a network of associates for my new marketing communications business. I was based in Atlanta and was at the tail end of a failed marriage. Grant was also in the process of terminating a relationship. When we chanced to meet, it was recognition at first sight. After doing some bicoastal trysting, we decided that we needed to do whatever was necessary to put our lives together. We were beyond recognition. We were in love. Grant liked the west coast. He was not interested in moving to the southeast because that was where he was from originally and he was pleased to leave it behind. As a serial monogamist in his twenties, Grant was married and divorced three times in the southeast. He vowed to never get married again – in the southeast or anywhere else. I told him, “If you want to be with me, you’ll have to move to Atlanta.” He said he would agree to move to Atlanta if I would agree to move to Santa Fe with him at some point. “Didn’t you end up in L.A. because you went broke in Santa Fe?” I inquired. “Yes,” he admitted. 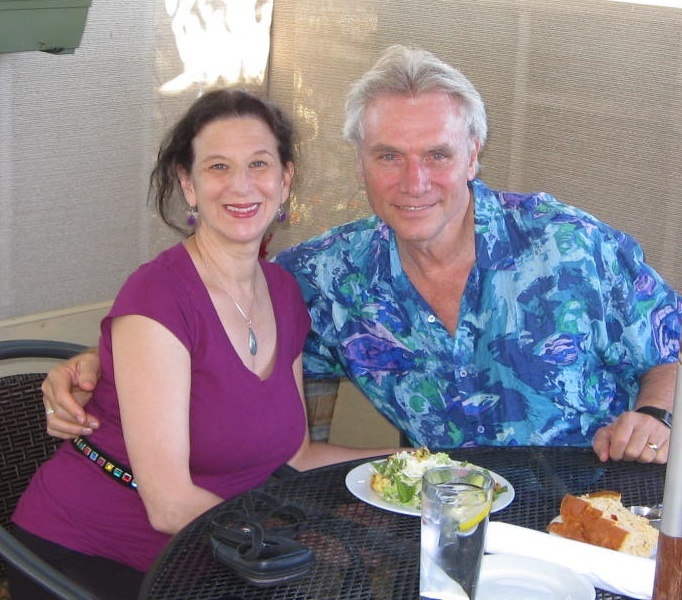 “Well, then,” I said, “I will agree to move to Santa Fe with you someday if you will agree to not go broke there twice.” We agreed on everything and Grant moved to Atlanta at the beginning of 1988 – but he reminded me he was done with marriage. Two years later, Grant got down on one knee on our brick front steps. I may have been sitting there filing my nails, watching the kids having a Halloween party at the house on the right and listening to the drone of a lawn aerator at the house on the left. When Grant went down, I thought he was having a stroke. In fact, he was proposing to me. He actually popped the question and flipped open a box containing a very pretty diamond ring. “I thought you were through with marriage,” I said. Grant replied, “Our union has already taken place but I want to formally announce us as a couple. I love you with all my heart. Will you marry me?” And I put down my nail file and said, “Yes!”, wrapping my arms around him. I may have wrapped my legs around him too – we damn near fell down the stairs. We were excited! We were engaged! We checked on a number of halls and outdoor venues to have the event in but ended up holding both the ceremony and the reception at the home of a friend’s parents who were foreign diplomats and experienced party throwers. 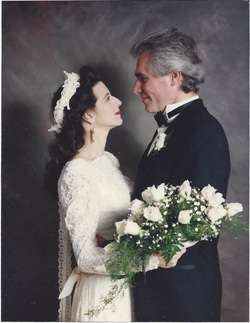 We got married on a drizzly day in Atlanta on April 26, 1992. About 70 people came and I think the whole shebang ran us under $5,000. Of course, that included rolling our own cold cuts, getting some free delicacies from an old college boyfriend who catered the event and the gift of wedding photography from a dear friend who attended with an assistant he ended up marrying (we joined them on their honeymoon – but that’s another story). And the hostess, an award-winning pastel artist, made a very nice centerpiece for the the buffet table. Ironically, Grant had a habit of getting married in the state of Georgia – once by a Justice of the Peace and twice in Episcopal churches. This time, we opted for a rabbi who presided over a non-denominational congregation. That way, Grant got to step on a glass. And people from all different backgrounds got to yell, “Mazel Tov!” Grant was very nervous and slightly tipsy as we stood before the rabbi – but I butted him with my lacy hip and that calmed him down. Grant wore a very elegant black tux which he opted to buy instead of rent – and he’s made plenty of use of it since. I went to a bridal warehouse and found an exquisite gown for around $200. Of course, the seamstress I had to hire to take it in set me back an additional $350, but it was worth it. I had creamy satin and pearl shoes to match. I can still fit into the dress. The shoes are another matter. My flowers were white roses and camellias and my friend’s mother loaned me a pair of antique pearl earrings. Oddly, I wore the same garland that I wore to my first wedding – but this time, I had a professional hairstylist and she put a more elegant twist to the whole do. Sadly, I did my own nails the night before. I woke up with quilt marks but it was too late to do anything about it. There were no bridesmaids. The maid of honor wore a flowered frock and her husband was one of our chuppah holders. Our parents stood up with us on all sides. We said our own vows – not from anything we had written but straight from the heart. There was joy, There was laughter. There were a Brazilian flautist and guitarist in a loft over our heads. The hostess talked them into playing “Dixie” for my mother-in-law, who was a Daughter of the Confederacy. Mama enticed my Yankee father to dance with her (while the rest of us sat it out). 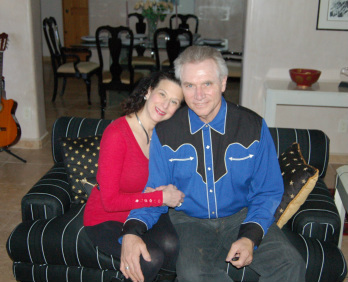 Grant and I danced to “Wave” – a bossa nova song (why else have Brazilian musicians?). And we felt happy as clams on our special day in that intimate setting with people who really wanted to be there for us. We had a delicious Italian rum wedding cake designed and baked by a woman we knew who owned a restaurant. Both fathers made nice champagne toasts. I threw my bouquet and Grant tossed my garter. We stuck around long after people left and sat with our hosts and families until they threw us out and we went to the Hotel Nikko for a relaxed and lovely wedding night. (We were going to stay at the Ritz but they wanted $1,500 for the honeymoon suite and it seemed ridiculous to spend that kind of money for a bed and few chocolate-covered strawberries. We got the same treatment at the Nikko for $400). And then came the honeymoon in Negril. If you want to know more about that, see http://www.mindylittmanholland.com/MLHdotcom/Blog/Entries/2013/4/10_Naked_In_Negril.html. It’s scandalous! Oh – and yes! 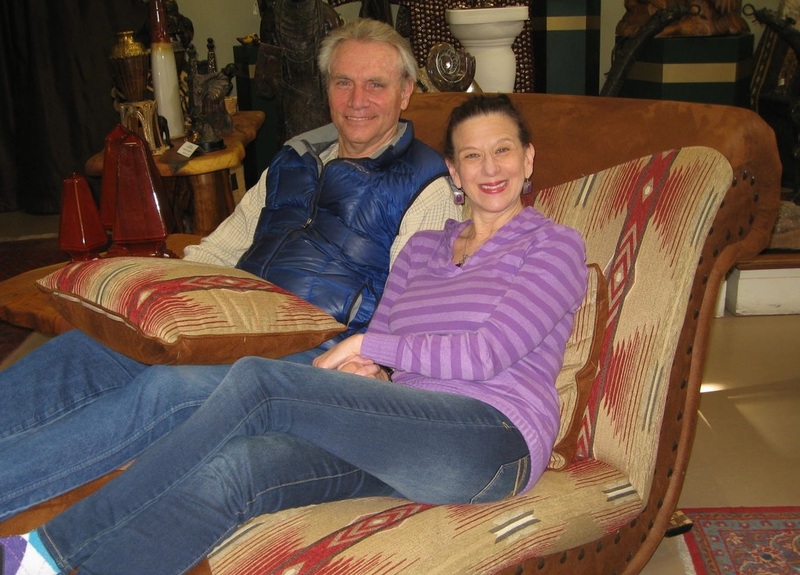 – Grant and I moved to Santa Fe in 2005. I honor my agreements. But I return to Atlanta regularly to visit the people who hosted our wedding and the other friends who showed up for us and made our wedding day so fulfilling. Understand that you are engaging in a (hopefully) lifetime partnership with another human being. If you expect perfection, you are going to be disappointed. That goes for your wedding, too. If you spend the day worrying about your ice scupture melting, you’re not going to have a good time. And nobody likes a micromanager (I know that because I’m a control freak). Allow your mate to enjoy a distinctive life both with you and without you. Be interested in what they’re doing but not suspicious. If you can’t let your mate out of your sight for a minute without feeling like they’re doing something underhanded, your relationship will last as long as the aforementioned ice sculpture. Show up and be present for each other. Aside from all the Hallmark platitudes about love and devotion, the marriages (and other relationships) that make it are typically ones that include mutual support and good communications. And – about those platitudes – you are going to need love and devotion. And touch. Touch your loved one a lot. PRESENT DAY: Grant is writing and presenting technical papers. He is also a musician. Mindy a writer (two books published since October 2011: Wait Until You're Fifty: A Woman's Journey Into Midlife and The Rebirth of Gershon Polokov, a novel), artist and photographer. Each month, she writes a short story and post it on her website blog at www.mindylittmanholland.com. For more details about how Grant and I met, go to http://www.mindylittmanholland.com/MLHdotcom/Blog/Entries/2013/8/7_Compulsion.html.